Happy New Year! This year we will be celebrating 125 years of Junior Grange! Our National Junior Grange theme is “Junior Grangers, Honoring our Heritage”  which will go hand in hand with our State Junior Grange theme of “Celebrate being a Junior Granger”. Other exciting news mentioned during the National Grange Convention, Junior Director Lillian Booth shared the changes that will be coming for the Junior Grange program. Some changes are being made to the merit badge program  with the addition of advanced badges,  being able to receive personalized award certificates and having the ability to have an individual Junior Grange membership for those that do not have a local Junior Grange. Along with these changes, they are in the process of updating the “Red” book, thus providing easier instructions on starting a Junior Grange and tips on running a Junior Grange meeting! 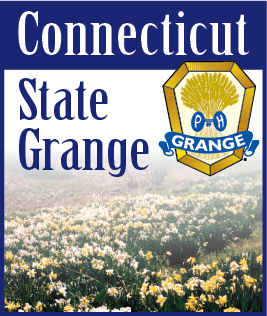 It was wonderful that the Connecticut State Grange had two Junior Grangers in attendance at the 147th National Grange Session. Angelina DeDominicis and Kayla Michaud had a wonderful participating in all the activities and keeping Hank the Burro company! And it was great to see all the Junior Grange Alumni Connecticut had in attendance as well, including myself!